A Grade II listed Eastbourne theatre, built in 1884 for the Duke of Devonshire. All the social, fundraising and promotional events over the coming few months, together with advance notice of some events further ahead are listed below. For a complete list of what is going on at the Devonshire Park Theatre, please visit the theatres’ website. Please refer to our Bar Receptions page for a list of all the Bar Receptions. 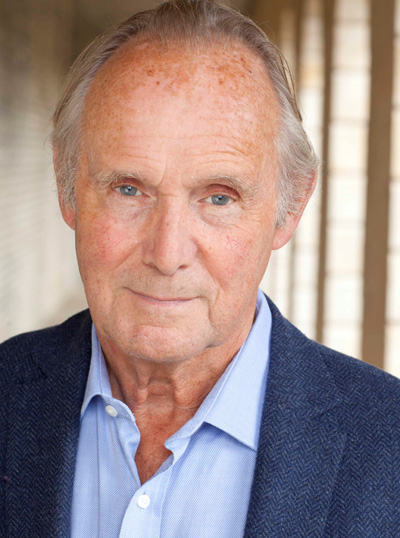 This is updated as and when new productions are confirmed, so please do visit the page regularly to ensure that you don’t miss out! 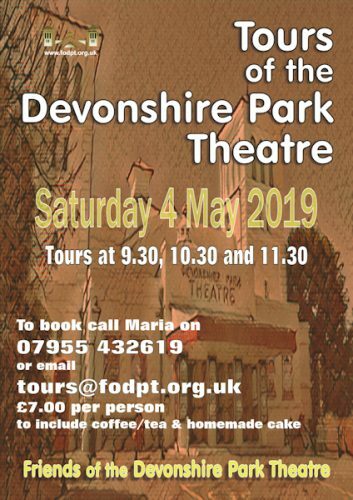 If you are not already a member of The Friends of the Devonshire Park Theatre and would like to attend any of the members-only events listed below and enjoy all the other benefits of membership, please find out how you can join by clicking here. How to enjoy a visit to the theatre even if you are visually impaired …..
To receive 'Friends' news and updates by email, please click here for details on subscribing to our members' email list. Help us by raising funds for free when you shop online. 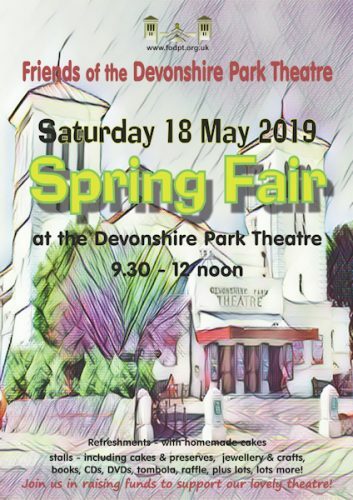 Easyfundraising is a brilliant way to raise money for the Friends of the Devonshire Park Theatre. When you shop online at over 2,700 retailers (including such big names as John Lewis, M&S and Amazon) they'll give the Friends a donation every time you buy something, at no extra cost to you. 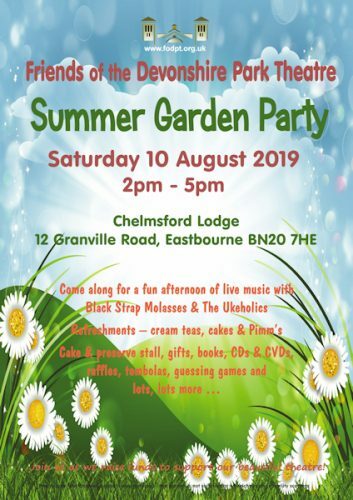 Copyright © 2019 Friends of the Devonshire Park Theatre. All rights reserved.